Looking to ease into the art of insect pinning? Register to pin and take home your own exotic butterfly! Led by Florida Museum staff, this NEW pinning workshop will guide attendees through the process of properly pinning and preserving butterflies just like a Museum curator. Participants must be 18 years or older. 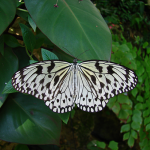 Pin a large exotic butterfly specimen and take it home. 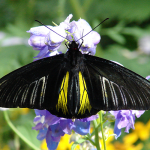 Get up close to exotic butterfly and moth specimens. Learn what it takes to operate the Butterfly Rainforest exhibit. Peek into the Museum’s world-renowned collection and leave as an expert pinner. All materials are provided in this comprehensive workshop. One large exotic butterfly specimen to pin and take home. Individual instruction from the professionals. A behind-the-scenes look at the McGuire Center’s world-renowned butterfly and moth collection.